The title is a quote from the book, Surviving a Wilderness Emergency, by Peter Kummerfeldt. His book being slap full of practical no nonsense knowledge of what to do if get yourself into trouble in the backcountry makes it one of my favorites. I have several of his quotes listed in my list of Great Survival Quotes. To date, 42 people have personally thanked Peter Kummerfeldt for saving their lives. He didn’t save them with his own two hands, but with the wilderness survival skills he’s honed for the last 50 years. Kummerfeldt came to the U.S. in 1965 from his home country of South Africa. He soon after enlisted in the Air Force, where he began learning about and instructing survival skills, a passion that he’s since taken to people all over the world, including hundreds of eager audience members every year at the Pacific Northwest Sportsmen’s Show in Portland. But after decades of touring the speaking circuit, the 70-year-old survivalist is ready to call it quits. 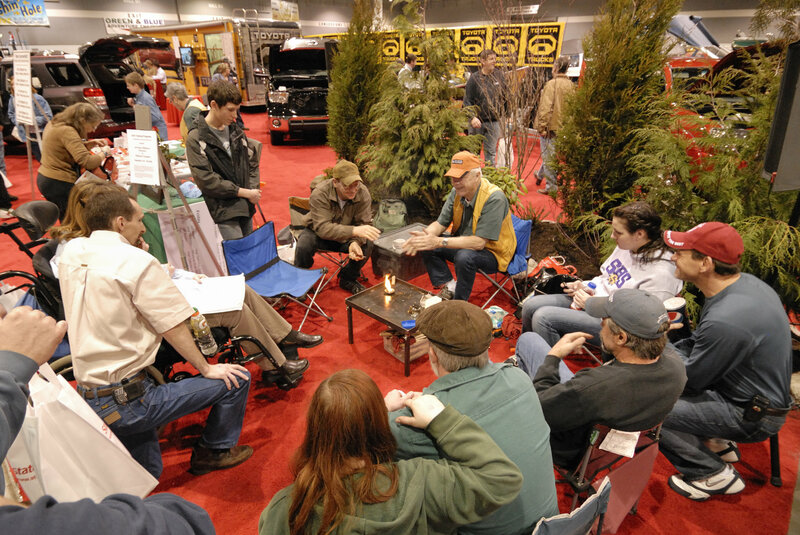 His appearances at this year’s Pacific Northwest Sportsmen’s Show, where he’s given seminars for the last 20 years, will be his last. One of the Greats-thank you Chris!